Each day, countless vehicles pass through Bedford, Dallas, Fort Worth, and the surrounding areas. 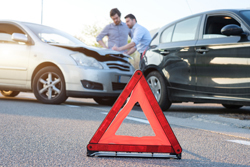 Inevitably, accidents happen, and should you be involved, you need to know what to do immediately after the car accident. You also need to know what could potentially happen to you in the aftermath of the accident. Insurance adjusters will call you, trying to get you to give a statement about how the accident happened, the extent of your involvement, and the seriousness of your injuries. They are NOT asking these questions to be helpful, but rather to pin you down in an effort to minimize your claim or even trick you into saying something that will allow them to deny your claim entirely. You should never trust the insurance company to do the right thing. Therefore, it is extremely important to learn as much as you can before speaking with an adjuster or otherwise dealing with the process of filing a claim. Download our free book so you will know what to expect. Knowledge is Power! Of course, each situation is unique, and the discovery process for your specific case may vary. To learn more about your legal rights surrounding a personal injury claim, contact us right away. We can help you understand your right to compensation for property damage and medical bills. The state of Texas recognizes a statute of limitations on filing civil lawsuits, so you need to act quickly to ensure your rights are protected. You are entitled to recover all out-of-pocket medical expenses that you or your loved one incur, as well as the amounts paid by any type of medical insurance plan, including Medicare and Medicaid. You are also entitled to any future medical expenses that you are likely to incur in the future based on reasonable medical probability. If you miss work as a result of your injuries, the law provides that you may recover any lost wages. The law also provides that, in the event your injuries result in your inability to earn as much in the future as you did in the past, a claim for loss of future earning capacity can be made. If the injuries you sustained result in either temporary or permanent impairment or disability, then you are entitled to pursue a claim for that impairment. These are damages awarded due to scarring, amputation, or other physical injuries leaving a long-term and usually permanent change to physical being or look. Pain associated with an injury can range from minor and rather temporary to severe and long-lasting. This type of recovery is very subjective and can vary widely from one person to the next. Nonetheless, the law allows recovery for the pain you suffer, and the amount compensated is determined by the jury on a purely subjective basis. These types of damages are also very subjective and are often met with extreme skepticism by juries. Texas courts have determined that, in order to recover mental anguish damages, there must be evidence of the degree, nature, extent, duration, and severity of the person’s mental anguish. There must have been a relatively high degree of mental pain and distress which is more than mere disappointment, anger, resentment, or embarrassment, although it may include all of these. When there is damage caused to property such as a car, then you are entitled to recover for the repairs to or replacement of the property. Often times, you are also entitled to damages for the loss of use of the automobile. After you’ve been involved in a significant car accident, a police officer will typically arrive at the scene of the accident. Any drivers and witnesses will be interviewed, the vehicles and scene will be inspected, and an accident report will be written based on the officers’ investigation. A police report can include important information that will help your Hurst, Texas car accident attorney support your case and hold the negligent driver accountable. To obtain a police report, one must visit the Texas Department of Transportation website and submit a search and purchase request for the Texas Peace Officer’s Crash Report (CR-3). Due to confidentiality, crash reports are not available for online viewing by the general public. Upon payment and following the proper release guidelines, the crash report will be available to view online. There is also an option to obtain a copy of the report by completing the proper form and mailing it in. While the police report is just one of many key factors in supporting your claim, it is still a very important piece of evidence. Should I talk to the adjuster? Should I sign the medical forms the adjuster wants me to sign? Who is going to pay my medical bills while I wait for a settlement? What makes Parker Law Firm different from other personal injury law firms? We hold negligent drivers accountable for their actions. If an insurance company is offering you a settlement that is less than you deserve or denying your claim completely, you need a Hurst, Texas attorney to help you fight back. Insurance companies have incentive to find ways to avoid paying out settlements, and they are known to take those advantages if they can find them. At the Parker Law Firm, our Euless, Texas car accident attorneys hold insurance companies to their duty to protect you in your time of need. It is absolutely essential that you retain the representation of an attorney who can aggressively pursue the highest level of compensation for your case. When you work with our firm, we take the time to get to know you and help determine who is responsible for your injuries. You can be confident our car accident attorneys will represent you to the best of their abilities. 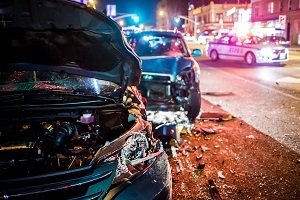 Our car accident attorneys defend the rights of injured Texans in Bedford, Hurst, Euless, Arlington and statewide, and we always aggressively pursue the highest level of compensation available for each client. Schedule a Complimentary Strategy Session with Parker Law Firm today by completing the form on this page or calling 817-440-3888! Why Choose Parker Law Firm? Frankly, you should sure hope that the above applies to any lawyer you hire. In fact, all of those points should go without saying. Parker Law Firm can match and exceed the routine claims of other personal injury attorneys. “People Matter” is not a metaphor, it is a fundamental belief at Parker Law Firm. You will work with a team of people who firmly believe helping others and seeking justice is a “calling” NOT a “job.” Our staff actually cares about what you and your family are going through, and we all work hard to help you at every step along the way. You will no longer have to deal with payment collection calls from medical providers. You will get straightforward, open, and honest communications at all times. Your calls will be returned the same day or within 24 hours. Mr. Parker also gives every one of his clients his personal cell phone number. Brad Parker’s passion is “Seeking Justice.” He pursues Justice not only in the Courtroom but also at the Legislature, working as an unpaid lobbyist to protect the rights of Texas families. All of this gives him a unique insight into the law that few possess, and he frequently speaks at State Bar of Texas seminars to share his knowledge with other attorneys. Brad Parker’s experience consists of more than 30 years of fighting for injured Texans’ rights, and he is highly regarded by his peers as well as his clients. Our Hurst, car accident attorneys are Board Certified by the Texas Board of Legal Specialization. We offer Complimentary Strategy Sessions to evaluate your legal options. You will NEVER owe us money unless and until there is a recovery for you. If you retain our services and have any regrets or reservations within the first 30 days, you can walk away free and clear. We consider our relationships with clients to be our lasting legacy. See what some of our former clients have to say about us. From our Bedford personal injury law office, the legal team at Parker Law Firm, our car accident attorneys proudly represents injury and insurance clients all over Texas, including Tarrant County, Dallas County, Fort Worth, Arlington and the entire Mid-Cities area. Fill out our online contact form or call our office today at 817-440-3888 to speak with Brad or a member of his staff, and find out how Parker Law Firm’s experience, knowledge, and client focus can help you recover after a Texas accident or injury. The Parker Firm did an excellent job in handling my claim from beginning to end, especially negotiating and lowering an unreasonable hospital bill.